Sturtevant Camp is located in the upper reaches of Big Santa Anita Canyon, in the San Gabriel Mountains of Southern California. We are a hike-in camp dating back to the “Great Hiking Era”. The trail in is a little over four mile hike from the parking lot at Chantry Flat, north of the City of Sierra Madre, California. The camp is open to the public and rental cabins are available from 2 to 40 people. 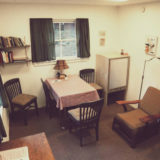 Cabin rates are from $90 – $275 per night. For your trip to this rustic location, the friendly donkeys of Adams’ Pack Station will take your personal items and food for a mere 50¢ per pound. Indicate that you want packing when filling out the reservation form. Read the Packing Services page for more info. Lodging consists of four roomy guest cabins, each sleeping eight, the cozy Honeymoon Cottage, and the homelike, self-contained Retreat Cabin. All cabins include mattresses, bedding, blankets, and pillows. In cool weather, cabins are warmed by propane wall heaters. The bath house, separated for men and women, has flush toilets and hot showers. 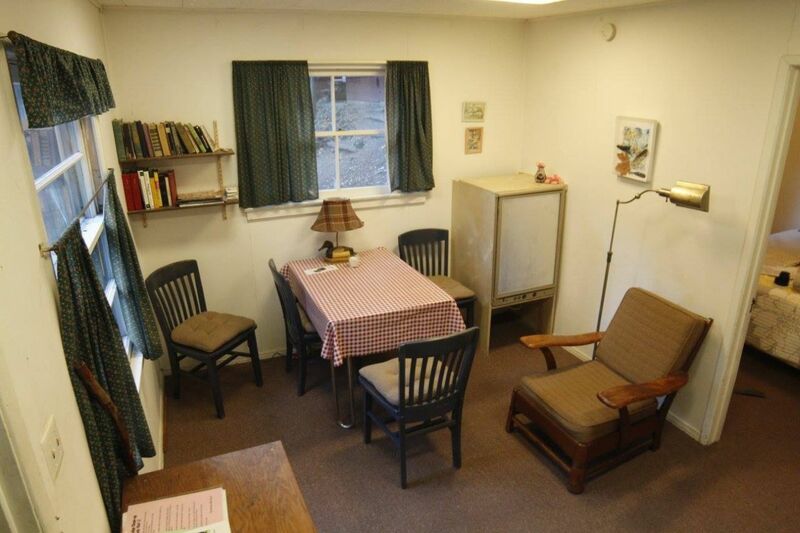 Common facilities include a spacious dining hall, an industrial kitchen and a game room with fireplace and piano. We also have an outdoor chapel/gallery for presentations, entertainment and spiritual services. Keep in mind that the Camp is a step back in time. Although there are electric lights in the evening, the Camp is otherwise unwired. No electric outlets, no wi-fi, no cell phone access. Please be prepared to be off the grid for your stay. You will find that it is quite relaxing. 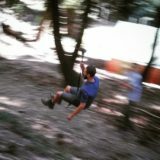 Activities at Sturtevant Camp includes volleyball, badminton, ping-pong, shuffleboard, horseshoes, croquet, zip line, big swing, games, self-guided nature walk and, of course, splashing in the creek. The natural surroundings provide many sightseeing opportunities: the big spruce trees, ferns, chaparral and wildflowers. There are dozens of bird species to spot and vistas to enjoy by hiking to Mt. Wilson or Newcomb Saddle. Sturtevant Camp is not just located in the Angeles National Forest, but it is located in true wilderness, just miles from the city. As such, the forest is a host to a multitude of wildlife. Come and enjoy smaller creatures such as gray squirrel, fox, racoon, and skunk. Only the squirrels are seen during the day as the others are very nocturnal. We have several varieties of snake such as rattle, gopher, racer, and California king snakes. Only the rattle snake is poisonous and mostly seen off trail (so stay on the trail!). There are both mountain lions and bobcat that are occasionally seen during the day, mostly during the night. The most interesting are the black bears that are actually more brown in color. People are most concerned about these larger animals and really should not be if some caution is used. They are just as afraid of us as we are of them. If you encounter a bear, retreat if possible. Otherwise, stand your ground, make yourself big by raising your hands. Making noise will also move him/her on. Parking is at a premium at Chantry Flat. If you arrive on a Friday, you should not have much difficulty finding parking in the USFS parking areas. You will need to display an Adventure Pass on your car for each day you are gone. Passes are sold at Adams’ Pack Station Friday to Sunday for $5 (or you can purchase an annual pass for $30). Saturday arrival is a different story. Parking is extremely difficult to find unless you arrive by 6:00 or 6:30 am. Same rules apply as a Friday arrival. Alternatively, you may reserve a parking spot in the private lot managed by Adams’ Pack Station for $30 per night. If you have any questions that do not seem to be answered by the various website pages, please contact Deb Burgess at 626.447.7356 or dburgess@sturtevantcamp.com. Thank you.